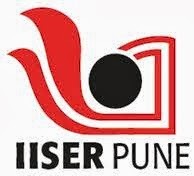 About Company: The Indian Institute of Science Education and Research Pune is a premier institute dedicated to research and teaching in the basic sciences. Established in 2006, the institute falls under the purview of the Ministry of Human Resource Development (vide communication F.No. 22-8/2006-TS.1). How to Apply: Applicants should send the application by email addressed to phy_app@iiserpune.ac.in. Mention the name of the Post and Project code in the subject line.